Marina Bay Sands is another reclaimed land adjacent to the Gardens by the Bay. 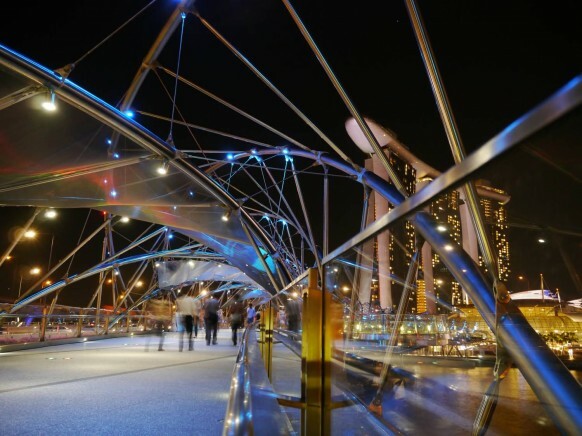 This Integrated Resort fronting Marina Bay in Singapore was developed by Las Vegas Sands. 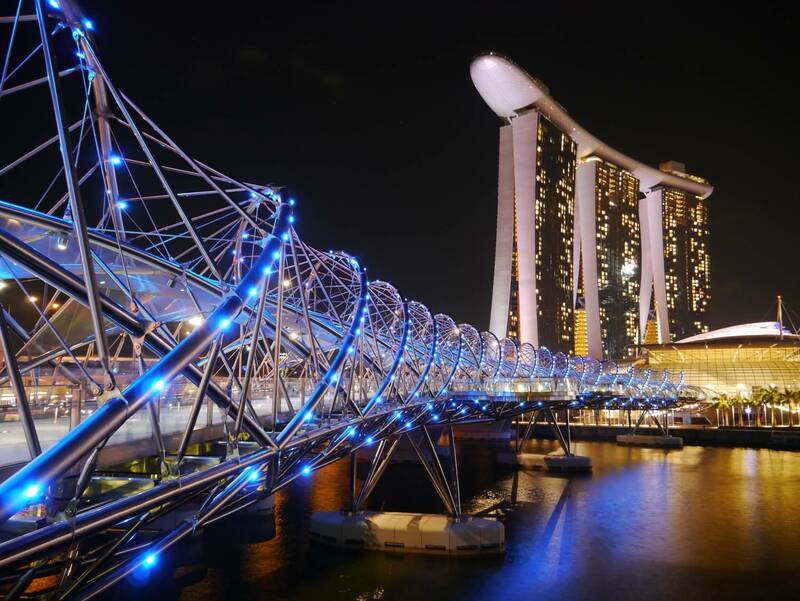 Billed as the world’s most expensive standalone casino property at $8 billion Singaporean dollars. 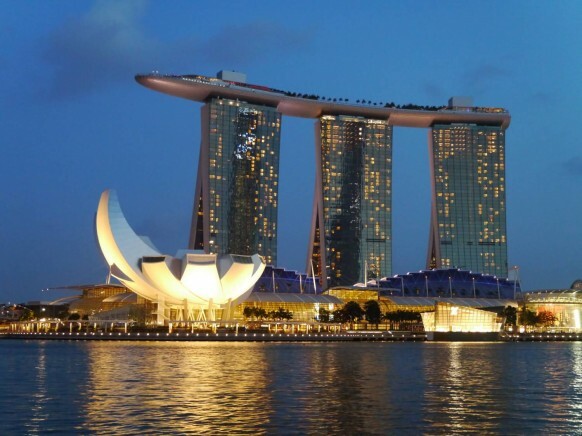 With the casino complete, the resort features a 2,561-room hotel, a 120,000 m 2 convention-exhibition centre, a shopping 74,000 m 2 center called “The Shoppes” at Marina Bay Sands mall, a museum, two large theaters seven “celebrity chef” restaurants, two floating Crystal Pavilions, an ice skating rink, and the world’s biggest atrium casino. 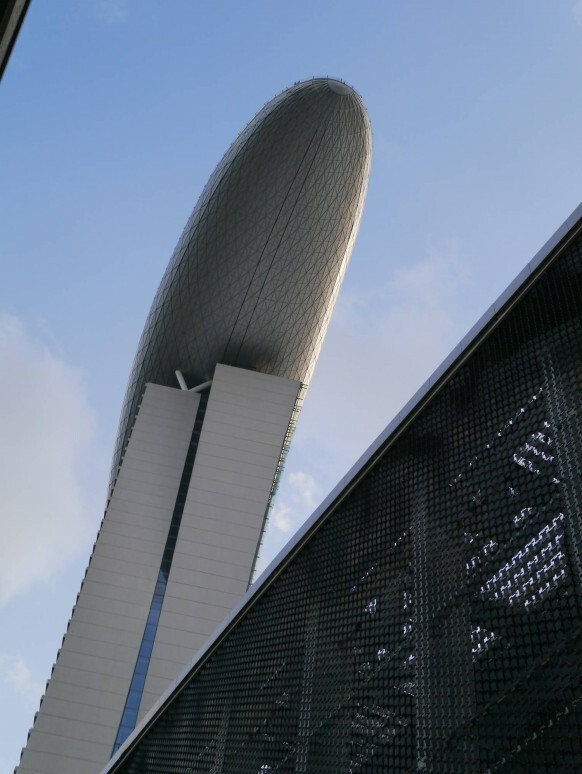 The complex is topped by a 150m infinity swimming pool, set on top of the world’s largest public cantilevered platform, which overhangs the north tower by 67m. 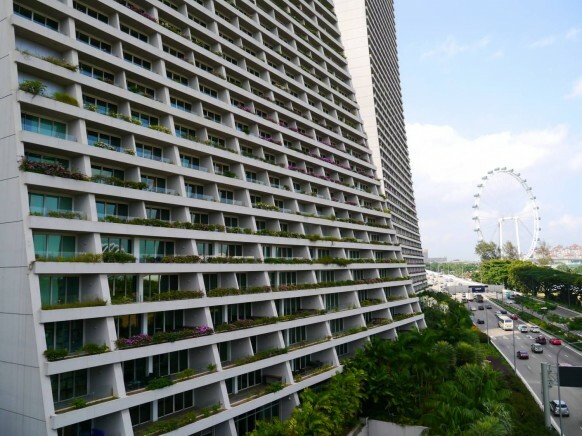 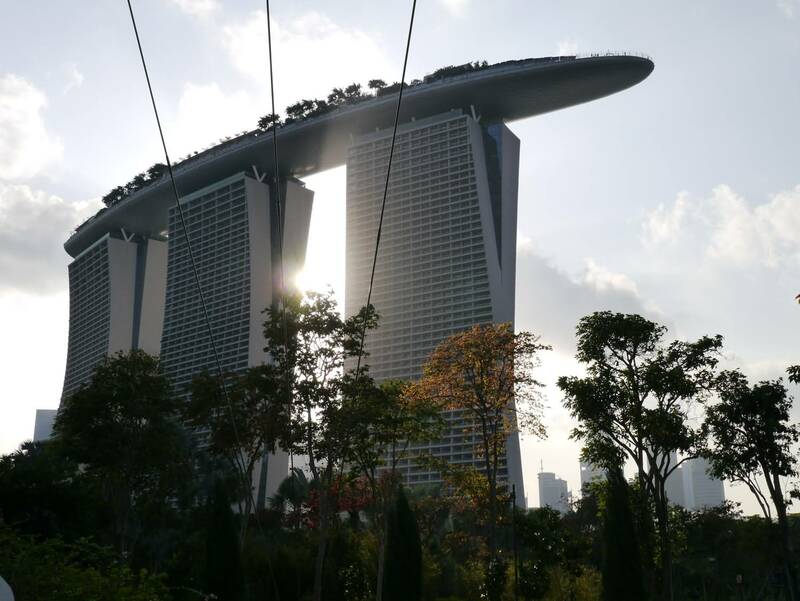 The resort was designed by Moshe Safdie Architects. 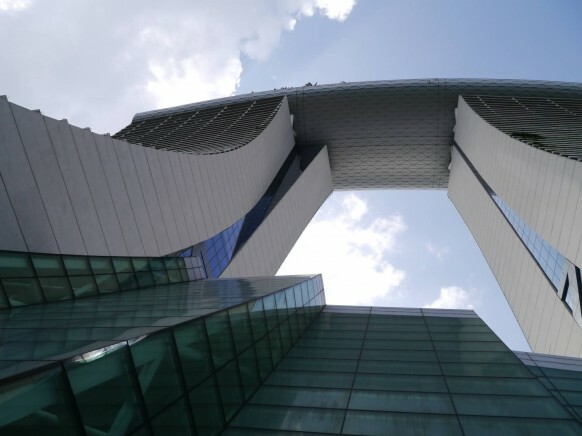 The grand opening of Marina Bay Sands was held on 17 February 2011.